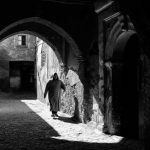 If you are a seasoned photographer or a beginner to photography willing to invest in a quality camera model, you might want to give the Canon 5D a chance. Following its initial release to the general public, the Canon 5D model has undergone various transformations, with upgraded models. The last and most current model is the Mark IV. 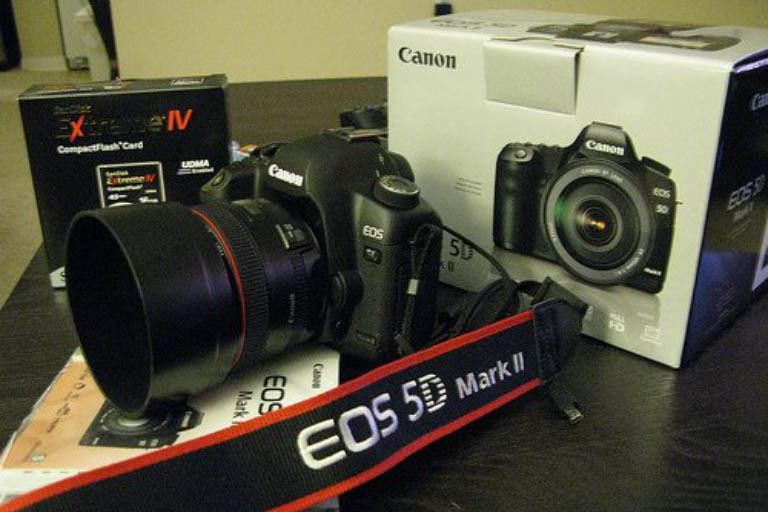 What Is The Canon 5D And How Does It Work? When the 5D model was made available, it was heralded as one of the best camera choices for taking portraits or shooting landscapes. Using the 5D from Canon, you get crisp pictures, a lightweight model for all-day shoots, and it enjoys a long battery life. The original 5D model retailed for a little under the $8,000 mark, but today you can get an older model for a few hundred dollars. Despite being a smaller camera compared to competitors Nikon or Panasonic, the 5D model offers optimal performance regarding light, resolution, and sharpness of an image. Some photographers have also found it quite pleasurable taking photos with the 5D, as it allows for shooting 1,000 images on a single charge. With the 5D model, photographers won't have to scramble for a backup battery or pause their shoot to charge the camera battery. The more recent model, Canon EOS 5D Mark IV provides the same trusted full-frame photography and includes improved HD video capability. Both amateur photographers and professionals can get plenty of use and quality shots using this camera. The Canon 5D Mark IV weighs in at 60 grams less than previously released models. One of the biggest draws to improvements on the camera body is weather sealing, preventing unwanted accidents caused by rain, wind, and blowing debris. The resolution for pictures comes in at 30.4MP and allows photographers to expand the ISO range from 50-102, 400. If you value a crystal clear focused image, you may appreciate tinkering around with the Dual Pixel RAW feature. This feature is unique to the 5D model Mark IV and allows photographers to hone in the sharpest point of an image after it has been captured. You'll find features like autofocus, which comes with a 61-point system. Photographers can take advantage of 41 cross-points for an accurate shot. The 3.2-inch LCD touchscreen is user-friendly and makes navigating through settings or examining a shot nice and easy. Connecting to the Internet to upload your video footage or review photos is a cinch, thanks to included Wi-Fi. Readily transfer your media to a smart device, or directly link up your camera using NFC. If you like to be thorough about cataloging your media, you can enter pertinent metadata for each image or video file. When it comes to video quality, enthusiasts will get a kick out of setting the 4K HD old-school cinematic feel. However, there are some limitations. Feel free to capture surround sound for an improved finished product using the port for a mic or plug in your headphones. When shooting, you know how annoying it can be to hear the aperture adjust while in live mode. 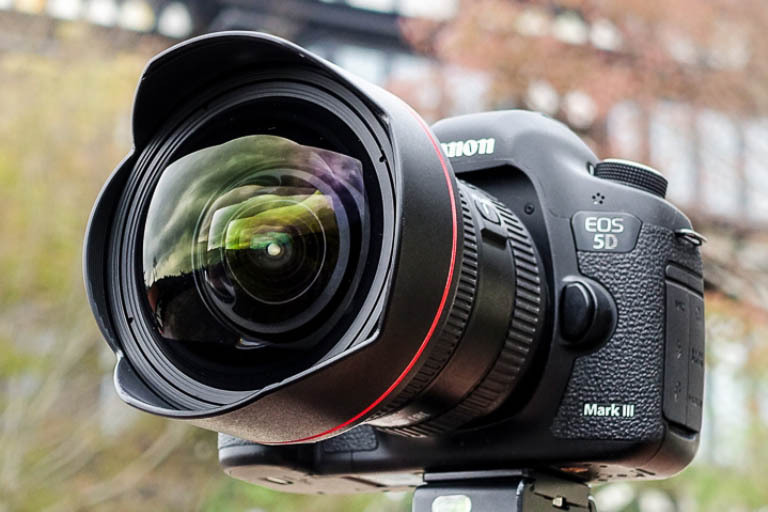 Thanks to Canon upgrading available lenses for the Mark IV 5D, you can outfit your camera with lenses that make adjustments whisper quiet, and reduce shaking for cleaner footage. The Canon 5D offers photographers and videographers a professional-level camera, capable of delivering clean and focused media capture. 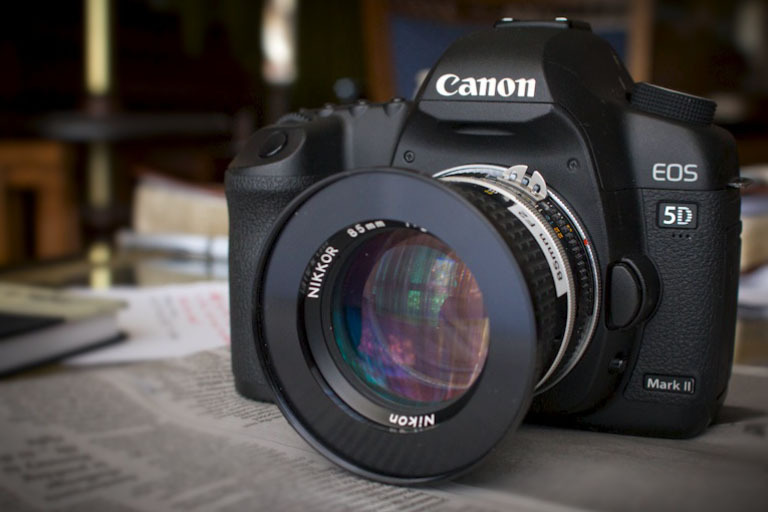 After the release of the 5D Mark III from Canon, enthusiasts looked forward to the debut of the Mark IV. After all, the ability to utilize a DSLR camera to shoot full-frame footage hadn't lost its luster. However, the Mark IV falls short because of an included crop which detracts from the experience. On the plus side, the included Digital Lens Optimizer, or DLO for short, prioritizes photos shot as a JPEG. The Dual Pixel RAW Optimizer is another neat factor for an EOS camera, and amateurs and professionals can find value in the camera's ability to shoot 7fps while at 30.4MP continuously. Overall, for the price point and features offered this camera is fairly well-rounded. The price of this camera may retail up to $3,499, but it is well worth every penny. If you choose to spend a little bit more than solely on the camera body, you can scoop up a bundle with included lenses. 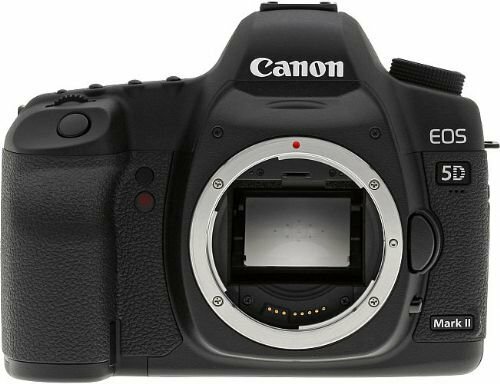 If you are a bargain hunter, feel free to check out trusted listings for the 5D Mark IV used or refurbished. However, be aware that you may get what you pay for and be cautious. Some dealers may provide the opportunity to grab the 5D model along with an SD memory card, shoulder bag, an included lithium-ion battery. When it comes to the ISO and range, the 5D Mark IV does fall a bit short compared to the Mark III model. Overall, this latest model release under the 5D line of cameras is good for shooting in most environments. The weather sealing is a nice touch to protect the camera from outside elements. No, this camera is not a Nikon or Sony, but it comes close regarding quality and features offered for the price point. When it comes to construction, Canon has beat out its competitors for a durable body that is not easy to degrade or malfunction over long-term use. Compared to the Sony A7R II, Canon's 5D Mark IV is a few hundred dollars more for equitable quality. 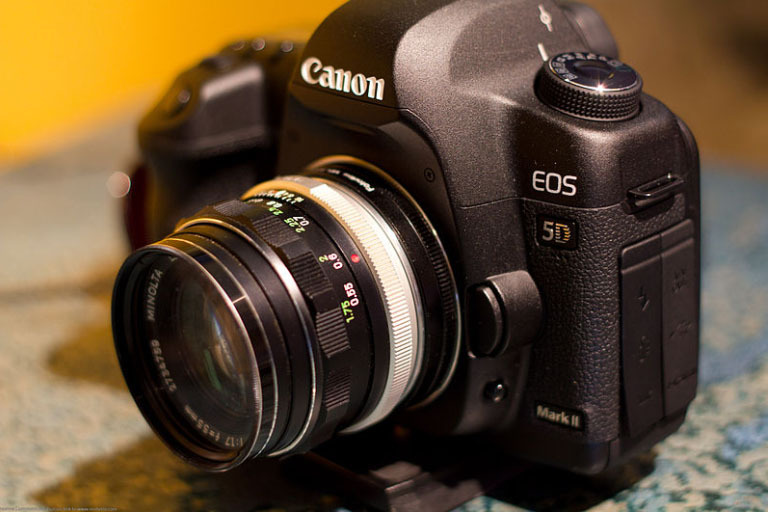 Photographers may enjoy the features on the 5D more than videographers, as the Mark III model was a better hybrid of video and photo capabilities. If you are into vlogging or looking for a point and shoot camera that doubles up as a video camera, you may want to choose another option. The 5D DSLR might come off a little bulky, less ergonomic, and doesn't offer features like 4K HD at 60fps or 120fps. And don't even look for focus peaking or 1080p as found on competitors like Sony or Panasonic. If you want to outfit your 5D camera with a wide-angle lens, you might be sorely disappointed when you choose to take video over photos. The camera comes with a 1.74x crop which may take away from your media. Shooting a full-frame video with the 5D may be a little tricky, or just plain fall short of expectations. Nikon may have been giving Canon a run for its money with its newly released models. But, despite the bells and whistles of the Nikon D750, the cheap body and problems with batteries popping out made Canon's 5D Mark IV shine forward. Comparing to similar cameras on the market, the 5D Mark IV stands out for its impressive colors, enhanced sensor, and LCD touchscreen. Thanks to upgrades and listening to camera users, the Mark IV allows for easier shooting in the dark. You may not feel the need to make use of the flash, complements of the optimized performance of the ISO and the range. Compared to earlier models, such as the Mark III, the Mark IV is capable of letting you underexpose shots and avoids shadows when pushed up to five stops. Previously, shooters who trusted Nikon for their photos were the only ones to have bragging rights. But now, the 5D Mark IV has stepped up to the plate. Also, when comparing to earlier 5D models, there isn't a significant change in weight, size, or handling. There isn't much noise in shots; you can recover highlights as needed, and capture those details and colors during editing without much fuss. The Mark IV allows for improved autofocus, where you can use the touchscreen for tracking of your subject, and hone in to keep things looking sharp. All thanks to the Dual Pixel feature, you can use facial recognition and clean up subjects that were moving during the shoot. Using the live view while taking advantage of the autofocus makes a huge difference in the outcome of your photos. The only thing that may be a let down is with the touchscreen; you are unable to tilt the screen to evaluate your shot. 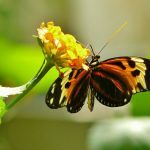 One thing that's unique when evaluating Canon's 5D Mark IV model is that is finally added something that Nikon photographers have enjoyed for a while. Canon finally upgraded its Mark IV model with a built-in intervalometer. Canon also made sure to give it's last 5D model an anti-flickering aperture so that you won't encounter interference with your view. Both professionals and amateur photographers can enjoy taking photos using Canon's upgrade to the 5D line. Canon's 5D cameras were valued for their performance under low-light conditions, ergonomic design, and reliable autofocus. Due to the sheer amount of functions on the 5D, the learning curve might be a little steep to enjoy handling and shooting with this camera. However, there are a lot of excellent features to enhance your photos. Canon has provided photographers with a solid, stable, and dependable DSLR camera. Whereas other cameras from different brands may have made slightly better improvements on technical points, the camera body for the Canon models has not let anyone down regarding performance. You can choose from various features including, but not limited to the following. The Dual Pixel RAW feature you might not use much at all unless you are taking photos at a very high MP level. Another cool factor that Canon offers with the 5D Mark IV is the double exposure during live view. This feature lets you get a neat visual effect. You can adjust the auto white balance. 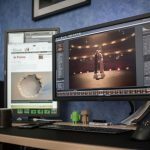 So, you get the impact you want out of your shot, whether you are partial to cooler or warmer setups for your subject. Included Wi-Fi makes transferring your files to your device for editing or storage quick and easy. 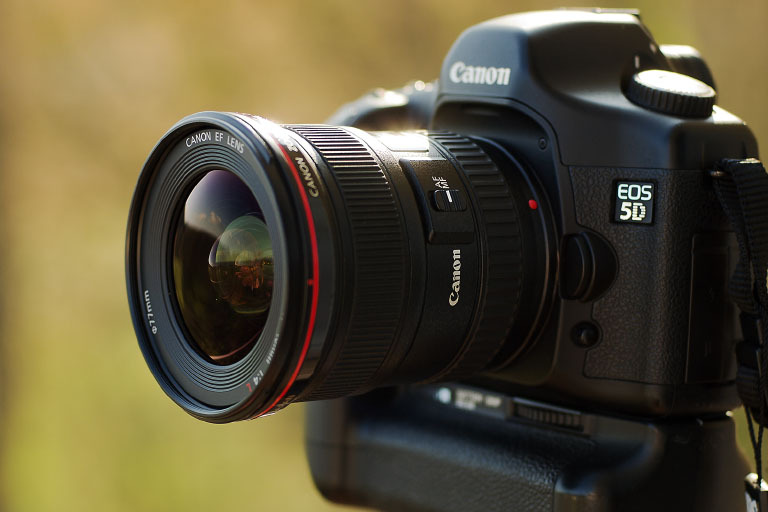 If you are not looking to take lots of HD video with your DSLR camera, you don't need to invest in the 5D. There are far better cameras with a videographer's eye in mind, compared to the features more suitable for pointing and shooting. Photographers who enjoy shooting portraits, wildlife, or landscape, may also want to skip out on the Mark IV, considering that the resolution is much higher on other 5D models. Compared to earlier models the Mark IV is a better option than predecessors when it comes to noise reduction in shots. The Mark IV provides higher buff capacity, more in-depth autofocus features, and two more frames per second when engaged in burst shooting. Professionals who want a camera with a lighter body and professional-type results shooting may want to pick up this camera. The sensor is sensitive to picking up a lot of pixels, so shooting in the dark or low-light doesn't require relying on a flash, and the ISO range is decent. Owners of the predecessor to the Mark IV, the Mark III may not be so quick to upgrade their camera. The features for both models only have some slight differences regarding the quality of your shot. Of course, as an upgrade, the IV includes some fun features to take advantage of when shooting a subject. But, purchasing the IV is not necessary to function. Unless you don't mind purchasing accessories for a camera that lacks GPS and built-in Wi-Fi, the 5D Mark IV will save you time and money. 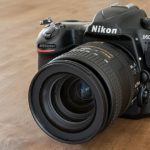 The range and autofocus on the 5D almost beat out the Nikon and Sony models that are comparable, but it does not surpass it in totality. You will get excellent features for the price tag, ease of handling, and select options unique only to Canon's 5D model. One of the best online deals for the Canon 5D Mark IV model is via store B&H Photo. This company not only provides the camera model at the listed price of $3,499 with free shipping, but it also includes the lithium-ion battery, a 64MB SD card, and a shoulder bag. Don has solid knowledge of photography gained through years of asiduous work ever since his college years. Don’s approach to photography is rather technical as he describes it. 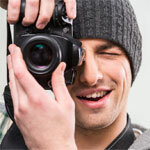 Before taking a good photograph, he has to gain full insight on the equipment he is handling. It is this thorough process of gaining know-how that brought Don to the Future Photographer team. He is always keen on sharing his minute insight on any camera he worked with and discussing the outcomes with his readers. Whenever he has the opportunity, Don will also slip in a piece or two on photography editing programs and their less mainstream features. He is thorough and precise. He strongly believes these traits go a long way in structuring creativity.